We are a prominent manufacturer and supplier of a wide range of comfortable Men Trousers that are widely acclaimed for their stretchability, color variety and durability. Our range includes trouser and formal trouser. We procure raw material from reliable vendors who ensure to provide us with superior quality cloth. Our firm keeps in mind the fashion tends and manufactures products accordingly. We provide our clients trousers as per their specifications for their comfort and maximum satisfaction. 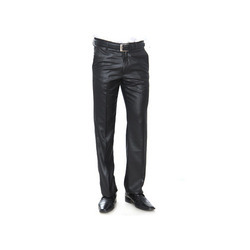 We are a prominent manufacturer and supplier of a wide range of Trouser. We strive to bring innovation to Indo - Italian clothing across the country. We provide these trousers in different colors, sizes and patterns and follow the latest trends. Our firm also works towards the desired requirements of the clients to attain maximum client satisfaction. We with our team of dexterous designers work towards providing the client a variety of Formal Trousers. 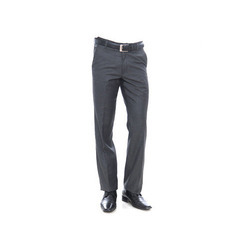 These trousers are highly durable, comfortable and easy to wash. We ensure that our valued patron gets a proper professional look when they dress up in our formal trousers. These are available in different colors, patterns and sizes and can also be customized as per the requirements of the clients. Looking for Men Trousers ?